Hello friends. I am Vladminir Lenin. 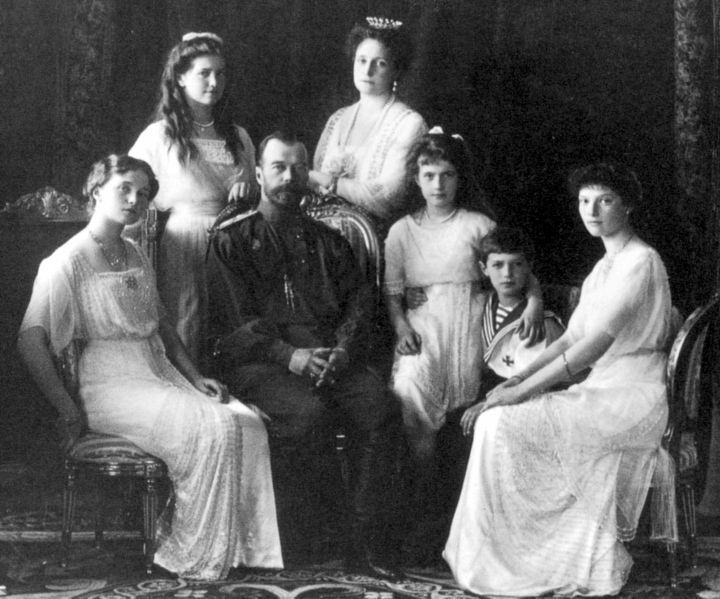 My people killed the Romanovs. Yekaterinburg. You probably know it best as Russia's fourth-largest city, the main industrial and cultural center of the Urals Federal District. And although we love ourselves a fabulous industrial city (especially one that is known for its metallurgy (ferrous and non-ferrous), machinery and metal processing), there are a number of reasons that we decided to make a short visit to Yekaterinburg. 1. Historical Significance. Soon after the Russian Revolution, Tsar Nicholas II and his entire family were famously imprisoned and then brutally murdered by the Bolsheviks in their home in Yekaterinburg. (Branson was pretty sad, but believed it to be a necessary sacrifice for the glorious future of communism). Some of the Romanov remains were discovered in 1979 and conclusively identified in the late 1990s; the bodies of two more of the children (long the subject of conspiracy theories and rumors that they had escaped execution and had continued the royal bloodline) were discovered in 2007 and identified through DNA testing. The Romanovs were canonized by the Roman Catholic Church, and their remains interred at the St. Peter and Paul Cathedral in St. Petersburg. Fun fact! Alexei was a hemophiliac, and Rasputin used this to gain influence with Alexandra. The Church on Blood in Honor of All Saints Resplendent in the Russian Land (if you think that's a mouthful, check it out in Russian: Храм-на-Крови́ во и́мя Всех святы́х, в земле́ Росси́йской просия́вших) was built on the site of the Romanov execution, to commemorate their canonization. The Church of the Blood (nickname) was consecrated in 2003. A true-life example of what happens when you forget to bring a scarf to a Russian Orthodox Church. You either shell out for an overpriced head covering, or you get creative with your plaid. 2. Swanky accommodations. Russia is expensive, and our most budget-friendly option was this "hostel" - actually just a collection of bunkbeds shoved into a tiny one bedroom apartment on a random communist-style apartment house. On the plus side, we got to see an authentic Russian dwelling, I guess. The girl in charge was very nice but she never showed up after the first day, so we had to hide the money we owed her in the apartment and then just leave the door unlocked when we left. This was the bathroom. It was pretty bad. It made me long for the bathroom that Boris kept so sparkling clean on the train. 3. Delicious, affordable, healthy food. Ha! Haha! This meal, served cafeteria-style, cost more than your average mid-mountain feast in Vail. 4. Russian fashion/Russian women. There's a lot more on this to come, but below is your typical Wednesday afternoon church attire, and below that your typical Russian woman making me feel short. 5. Traveler's Coffee. Oh, I how love thee, free wifi and $6 lattes. 6. Funny signs, funky street art, and old men playing chess. These are classic indicators of a good-time city. A diamond ring sitting in a pile of poop? 7. Location, location, location. And finally, the most boring (but perhaps most honest) reason: Yekaterinburg is in between Irkutsk and Moscow, and conveniently breaks up an 80-hour train ride into much more manageable 60-hour and 20-hour jaunts. Wow. . . those tan legs are stupendously long. Stunning.